Waiting for the famous Times Square Ball in NYC to drop at 23:59 or for London’s Big Ben to strike the hour is certainly a fun way to start the new year, but there may be other destinations better suited to your personal preferences. While it’s probably a tad too late to book a spontaneous flight to the South Pacific right now, you might already start making plans for New Year’s Eve in 2017. In that case, enjoy our suggestions for the best places around the globe to welcome the new year! … if you don’t mind the cold and the dark. You consider average temperatures from -6.5°C to -1.3°C to be pleasantly fresh and energizing? You can do without sunshine during your New Year’s vacation? 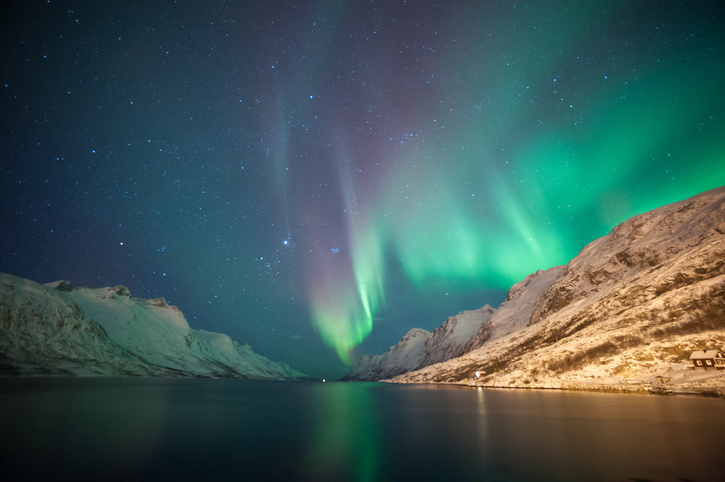 You have always dreamed of seeing the northern lights? Maybe it’s time for a trip to Tromsø, the self-styled “capital of the Arctic”! Situated in Northern Norway, 400km north of the Polar Circle, the former frontier settlement cheerfully defies all stereotypes that might be expected from its smallish size (73,000 residents) and remote location (a two-hour flight from Oslo). Tromsø is a regional boomtown and a vibrant cultural center, a lively university town and a city of superlatives. The latter usually include the word “northernmost”: northernmost university worldwide, northernmost botanical gardens, northernmost symphony orchestra, northernmost tango club, northernmost roller derby team — just take your pick! Unsurprisingly, Tromsø’s tourism industry is booming, too. To make the polar night more koselig (cozy), you could go on a Sami-style sleigh ride, attend a concert in the Arctic Cathedral, or book a spa day on a vintage fishing vessel. And if you join a bus tour outside of town, where there’s barely any light pollution, you may suddenly see the skies blaze up in cold flames of purple and green. … if you enjoy things that sparkle and go boom. When you were a child, the part you liked best about New Year’s Eve was the fireworks show? Now that you are all grown up, your inner ten-year-old still enjoys a good display of pyrotechnics? Funchal, the capital of Madeira, is the perfect place to greet the new year with a bang! Every summer, the popular port town hosts the Festival do Atlantico, a series of cultural events, including an international fireworks competition. Its winner obtains the privilege of organizing the lavish pyrotechnical show for New Year’s Eve, Madeira’s most important touristic spectacle. Aficionados hotly debate the best place to watch the fireworks from — the football stadium, a hotel along the marina, or a catamaran in the bay. 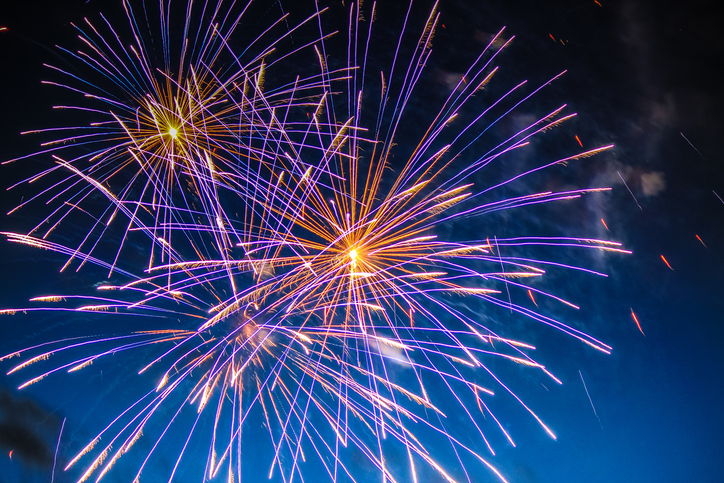 The fireworks show is just the highlight of the local holiday celebrations starting in early December and ending on “Twelfth Night” (6 January). You can choose among various concerts and folkloric traditions. Not only do colorful illuminations decorate Funchal’s main streets, but the predominantly Catholic town is also famous for its picturesque nativity scenes. Soccer fans might rather be interested in a more secular idol: Funchal’s most famous citizen recently received a bronze statue of his own — a 2.40m-tall Cristiano Ronaldo. … if you prefer your parties posh and traditional. Your ideal celebration involves champagne and classical music? You like dressing up in your fanciest outfit? You want to glide elegantly into the new year? 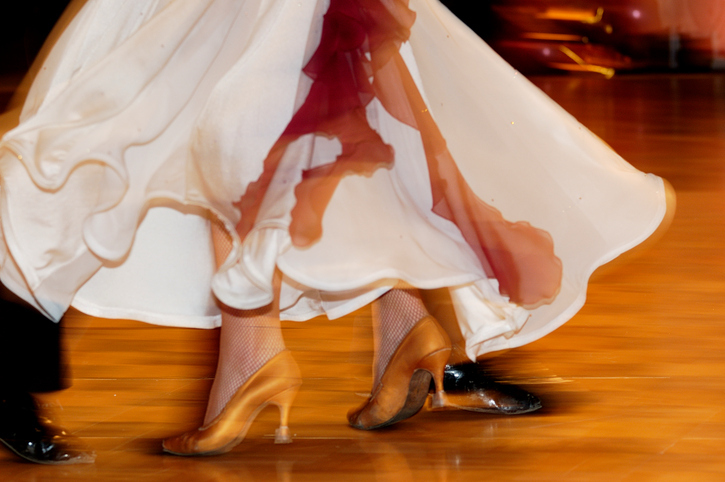 Brush up your ballroom dancing before setting out for Vienna! The Austrian capital is widely known for its ball season, which runs from 11 November — the official beginning of Carnival — until Lent. The most famous society event is the Vienna Opera Ball in February. However, the New Year’s Eve Ball at the Imperial Palace is another prestigious occasion — as might be guessed from glancing at the price list and the dress code: better pack a floor-length evening gown, or a tux or tailcoat, unless you want the bouncer to send you packing very politely. If you aren’t sure about mastering the waltz in the ballroom or in the streets, opt for the concert hall instead. Johann Strauss II’s operetta Die Fledermaus (‘The Revenge of the Bat’ — sounds like a superhero blockbuster) is as much as a staple of New Year’s Eve in Vienna as the New Year’s Concert on 1 January. If you can’t get a ticket for the latter, watch the live broadcast from the Golden Hall while nursing your hangover to nostalgic tunes. … if you are interested in exploring another culture’s New Year’s traditions. You shy away from touristy events and would rather mingle with the locals? You enjoy learning more about other cultures and customs? You aren’t afraid of queues and crowds? Think about spending New Year’s Day in Japan! In major cities like Tokyo, Kyoto, or Osaka, you will stumble upon the usual public countdown parties. It is much more memorable, though, to join those flocking to the nearest temple: just stand in the semi-darkness, amidst the glow of the lanterns, and listen to the bells chime in the new year. Don’t forget to eat some toshikoshi soba! Buckwheat noodles symbolize a long life. And if you have the energy to stay up all night or rise early, don’t miss out on hatsuhinode — watching the first sunrise of the year, an auspicious sight. Afterwards, it’s time for hatsumode — the first visit to a nearby shrine, where you can purchase new lucky charms. 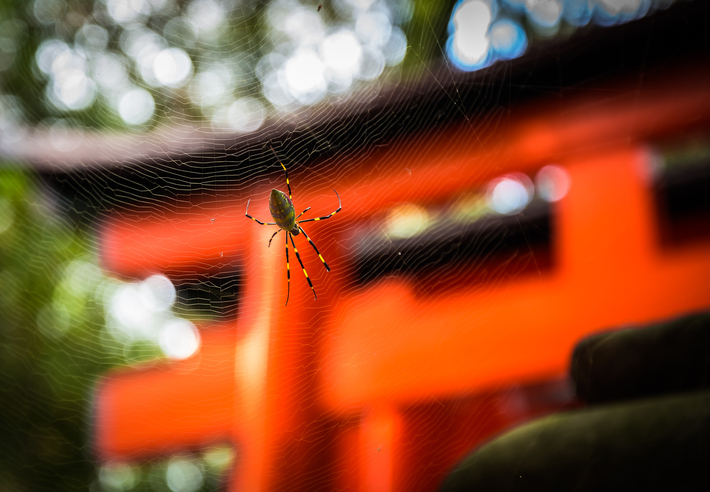 If you plan on visiting a popular shrine, though, for example beautiful Fushimi Inari Taisha near Kyoto, be prepared for a throng of worshipers reminiscent of a commuter train at rush hour. The downside: New Year’s Day being Japan’s most important holiday, most tourist attractions are closed in early January. … if you want to be among the first to celebrate. You’d like to be among the first people worldwide to wish one another ‘Happy New Year’? You don’t mind long-distance flights? And your ideal vacation includes white beaches, emerald seas, and a hammock under palm trees? Off to the South Pacific with you! 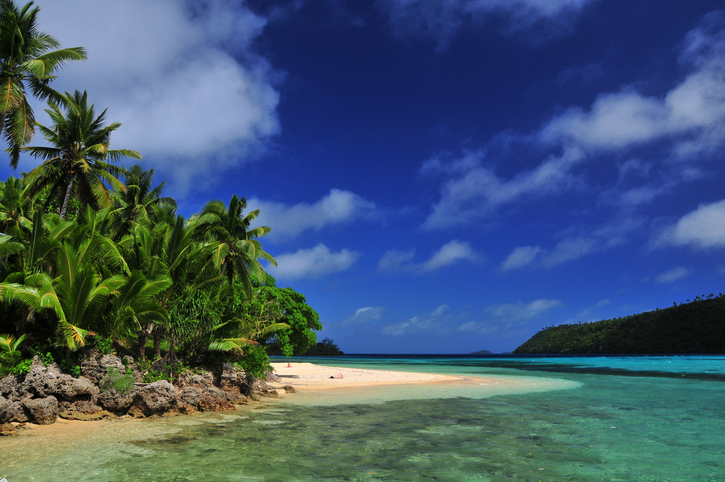 The Kingdom of Tonga is still relatively unspoilt when it comes to mass tourism. Fua’amotu Airport on Tongatapu, the main island, is only served by three international airlines, via Auckland, Sydney, or Fiji. The capital of Nuku’alofa is small enough to comfortably walk around, and life generally follows its own slow pace. Tonga is a true tropical paradise for swimming, sunbathing, snorkeling, fishing, kayaking, or sailing. Due to its location close to the International Date Line, it’s also among the places around the globe that celebrate New Year’s Day first, following right after Kiritimati, Samoa, and the Chatham Islands. However, this might not be the place for a raucous beach party: most Tongans are pious and conservative people, and even the country’s only cinema shuts down on Sunday. But you won’t just get the opportunity to toast the new year with a glass of local Kava, but also gain unique insights into the Polynesian way of life.